Merry Christmas and Happy Holidays to you and your families. What a year full of excitement, changes, and blessings it has been. We have been truly blessed by each and every one of you this year. Thank you so much for running with us. 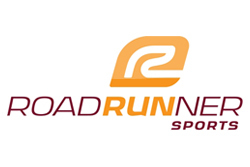 We are looking forward to a new chapter in 2012 with Road Runner Sports and EDGE Cyclesports in Laguna Hills. Check out these local running events in our back yard. Event Description: The San Juan Hills Trail run takes place on the trails that traverse the beautiful rolling hills of above the City of San Juan Capistrano. The 5K and 10K runs feature easy-to-moderate trails with scenic views of coastal mountains and the Pacific Ocean. Event Description: Salt Creek Beach Park is a beautiful venue with a perfect blend of sandy beaches, large grass areas and recreational trails. All races use the Salt Creek Regional Corridor Trail; the trail is concrete and blacktop and even offers several stretches with softer terrain next to it. The Half-Marathon is a two loop course; participants of the 10K will complete one loop while the 5K participants complete 1/2 of the first loop. The Kids 1K Run heads south on the utility road along the beach for .5K then returns to the finish line. This is a scenic course that will offer beginning and experienced runners a challenge! Runners can expect to see amazing canyon views and will look forward to the Pacific Ocean on the way back to the finish line. Aid stations are approximately 1 to 1.5 miles apart and will have water, sports hydration drinks and other healthy snacks. Saturday, April 21st, 2012 – Packet Pickup & Pre-Race Expo – details to be posted soon. 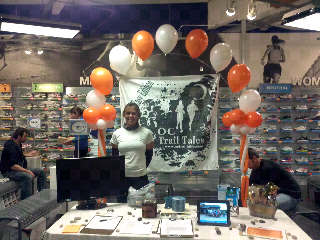 Welcome all you OC Trail Tales members! What a great night we had last night at Road Runner and their special VIP event. We had a lot of fun! We want to thank all of you who came out in the snow, (which i conjured up for you guys):) We know the traffic was hellacious because of the weather, so thanks for dredging through that for us. Thank you to Tom and Amy for our beautiful balloon display, they did an awesome job! You can visit their website http://www.signaturecelebrations.biz/index.htm for more fabulous things they do if you are planning a party. Thank you again, and Happy Birthday to the both of you! I am really excited to start our new session January 9th, and cant wait to talk with everyone and begin the new year! Pete and I are really looking forward to that. I hope you are all excited as well. If you have not done so already, please go to our meetup page and sign up, its free, so you can see or calendar. I will try not to blast you every 5 seconds. :) http://www.meetup.com/OC-Trail-Tales/ It will give you a good idea of what and when we are doing things, to keep track of your schedule and the workouts/races. only 24 hours until YOUR Exclusive Road Runner Sports VIP Christmas Party!! Woo-Hoo! Remember the fun starts at 6pm, so grab your family and help us celebrate the holidays! 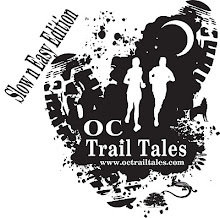 - Wear your OC Trail Tales Shirt and Receive extra Raffle tickets from OC Trail Tales Booth. Xterra course update for sunday. Great news for our group that have signed up for xterra on Sunday. The new course that we have been training on has been approved. As we are bracing for the new year we would like to invite you to Road Runner Sports in Laguna Hills for a VIP Christmas Party Dec 15th from 6pm-8pm. -Up to 20% discount on your purchases if you are already a VIP member. -Sign up for our new trail running program to kick off the new year @ $62.50 per class. -You want to be more healthy and fit. -Each time you go out for a run you encounter a new side of yourself. -Your workout starts to become a special time for you. -You have a healthy diversion and don’t feel the need to get anything more out of it. -You are a bit more independent. -You prefer company to running alone, but you’ll pick and choose your group with care. Competitor Program-Racing is the main driving force. Also we have a Triathlon 101 program for Beginners that are just starting the Goal Race is Desert TRI in Palm Springs.